The respective versions of the CLC – Continuous Loudness Control software are available in our Online Shop. The next generation audio processing in Live- and Postproduction, for TV and Radio. 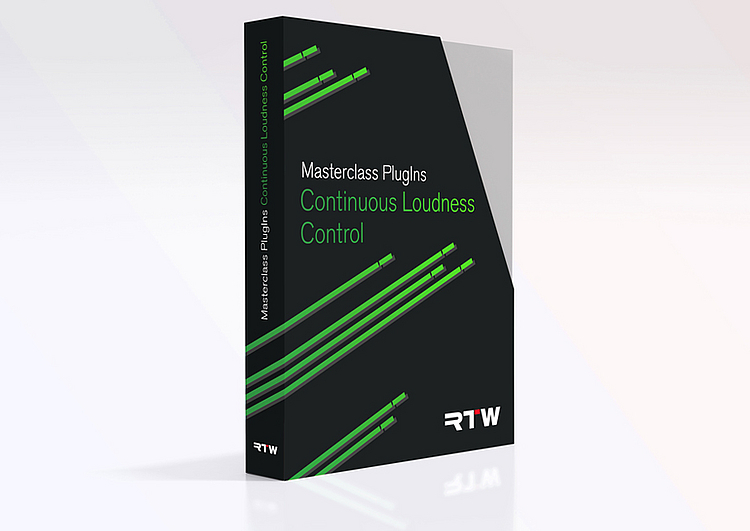 Continuous Loudness Control (CLC) is a Masterclass PlugIn featuring a unique visualization and patented loudness processing algorithm developed together with the IRT as a plug-in and stand-alone software. The amazing look-ahead low latency algorithm used in the CLC allows dynamic loudness processing of unknown live audio and audio files to a given loudness value with or without changing the original Loudness Range and protects to an adjustable True Peak value. CLC further improves the quality of loudness processing with various enhancements like batch processing of audio files, extended audio format support, (e. g. MXF) an expert mode for very special material, Mmax and Smax limiting, report functions, and optimized presets for e. g. streaming audio. CLC technology allows users to constantly adapt the level of audio they are working on, against a given program-loudness value, along with a definable loudness range in real-time with minimal obstacles. The CLC algorithm “learns” during processing about the dynamic structure and intention of the sound signal, and adopts its processing constantly to predict what comes next. CLC software is best for handling Live audio, DAW audio, and audio files. But also broadcasters are kept in mind, as they receive many different types of audio files (e. g. MXF) and have to prepare them for transmission. Therefore, CLC‘s batch mode offers automated and unattended loudness analysis and processing of audio files. Incoming audio files from different sources are processed according to predefined settings for e. g. different genres; the output is stored in the target folder together with optional report files. Optimized presets and the Expert mode allow to better match requirements for different types of programs and distribution channels. CLC may be operated with the most common DAW software products with Mac and PC and now also as a standalone software tool. With CLC technology, users are able to maintain accordance with EBU R128 and other global loudness standard specifications. The Continuous Loudness Control software is available for download at members area. Activation codes are available from our sales partners or when purchasing from our Online Shop. You are allowed to try the software 14 days free of charge. PACE Anti-Piracy‘s iLok License Manager 5.0 or higher and a PACE iLok Account have to be used (iLok.com) for test time management. The Continuous Loudness Control software is available for download at members area. Activation codes are available from our sales partners or when purchasing from our Online Shop. Existing and activated software can be updated for free.